Forward-looking: Optical microprocessors could one day offer speed of light compute capabilities. New research has shown that silicon nanowires can be produced to selectively transmit light of different colors. After further development, it may be possible to build packaged electronic components at nanometer-scale process nodes with fully optical interconnects. 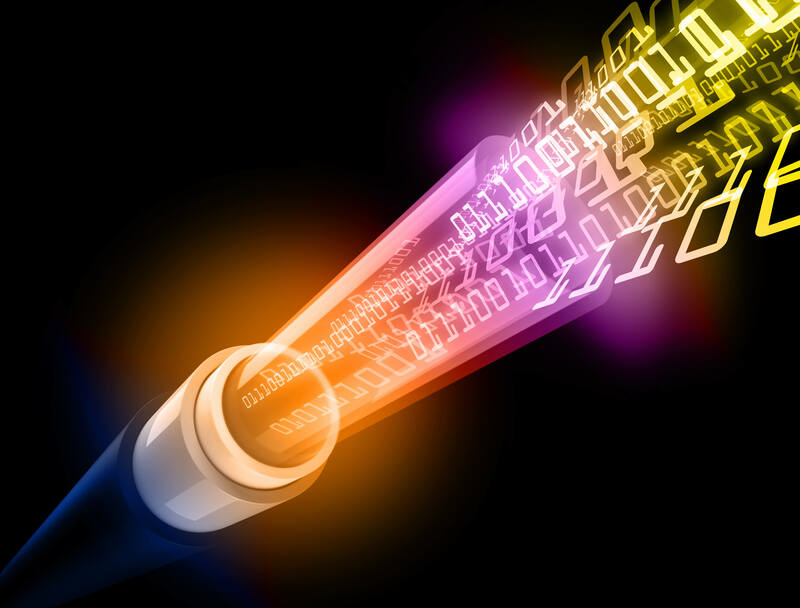 At this point in time, most tech savvy people are aware that fiber optic cables provide significantly higher bandwidth and speeds compared to traditional copper cables. The speed of light is recognized as a theoretical speed limit for any kind of movement. Applying optical interconnects on microprocessors has been attempted in the past, but there has never been a solution found that is suitable for mass production. Researchers from the University of North Carolina at Chapel Hill have published a new paper detailing how silicon nanowires can be used to selectively allow different wavelengths of light to pass through. Having the choice to turn on and off different colors of light is a step towards building a fully optical microprocessor. Some of the magic happens due to the creation of specially crafted shapes inside of the nanowires. The diameter of the light pipe is modulated with a proprietary technique that allows for selective light transmission. In order to direct light down the silicon nanowires, a light property called Mie scattering is used. An interesting discovery within the research is that the color of light that is passed through the nanowires is highly sensitive to environmental conditions. There are likely to be numerous applications for miniaturized sensors with native optical outputs, especially for aerospace and defense sectors. Miniaturization is one of the roadblocks preventing mass production of optical processors. Current microprocessors can pack several billion transistors now dropping below 10nm in size. Optical components have traditionally been in the micrometer range preventing any chance of similar component placement density on chips.